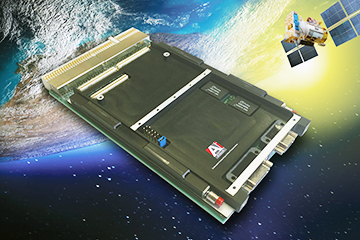 Aitech and Embedded Flight Systems, Inc. (EFSI) have partnered to integrate NASA’s cFS (core Flight System) into Aitech’s SP0-S space Single Board Computer (SBC). NASA’s cFS is a platform- and project-independent, reusable software framework and set of reusable software applications. The cFS architecture is composed of three key aspects — a dynamic run-time environment, layered software and a component-based design — that combine to make the cFS suitable for reuse on any number of NASA flight projects and embedded software systems, at a significant cost savings. NASA's open source cFS will be demonstrated by EFSI at Aitech’s booth #1239 during this year's 35th National Space Symposium in Colorado Springs, Colorado. The Aitech SP0-S features multiple hardware I/O and software options, including ample ECC-protected SDRAM, and also includes user Flash and EEPROM and auto-failover, redundant boot Flash, in addition to two on-board GbE ports, serial ports, discrete I/O, temperature sensors, three Watchdog timers, and more. These attributes increase a system’s ability to easily scale to more complex, compute intensive applications, enabling fast integration that saves development time and money. Charlie Rogers, VP of EFSI, noted, that cFS incorporates lessons learned and mission operation experience from years of NASA missions. As a reusable layered open-source flight software application, it’s being used by NASA, and many spacecraft vendors, for several upcoming missions. Mission classes that will use cFS range from manned flights to small cubesat missions.